Steven G. Gilbert, PhD, DABT is serving as treasurer on PSR’s board of directors. 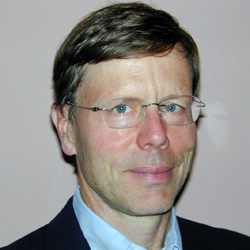 Dr. Gilbert is the founder and director of the Institute of Neurotoxicology and Neurological Disorders (INND). He is an Affiliate Professor in the Department of Environmental and Occupational Health Sciences at the University of Washington. Dr. Gilbert received his PhD in toxicology from the University of Rochester and is a Diplomat of American Board of Toxicology (DABT). Dr. Gilbert also serves as a board member of Washington Physicians for Social Responsibility, Hanford Challenge and Zero Waste Washington. Dr. Gilbert has authored numerous articles and books. In 2004, he published A Small Dose of Toxicology: The Health Effects of Common Chemicals, which addresses the public health impacts of exposure to everyday chemicals. Dr. Gilbert’s educational projects such as Toxipedia and Particles on the Wall, an arts and science exhibit about the Hanford Nuclear Reservation, help make toxicology accessible to the general public and policymakers. In 2016, Dr. Gilbert was recognized by the Society of Toxicology with its Public Communications Award for broadening the public understanding of toxicological issues. He passionately believes that one of the most important things that public health professionals can do is widely share their knowledge and scientific findings in accessible and meaningful ways.